Regular readers of our monitor reviews over the past year or so will be familiar with our exhausting hunt for the perfect affordable LCD panel. To cut a long story short, we've been seeking alternatives to that most ubiquitous of creatures, the lesser spotted 22in TN monitor. Otherwise known as twisted nematic, TN is comfortably the cheapest of the major LCD panel technologies. But it also lags significantly behind alternatives such as VA and IPS by most of the important image quality metrics. If you care about the pictures your monitor is presenting, spend much of your day installed in front of it, or perhaps rely upon its accuracy in a professional capacity, that matters. Of course, the question of panel type is not our only concern. We've also become pretty partial to generous desktop real estate along with the ability to render full 1080p and do justice to high resolution photography. 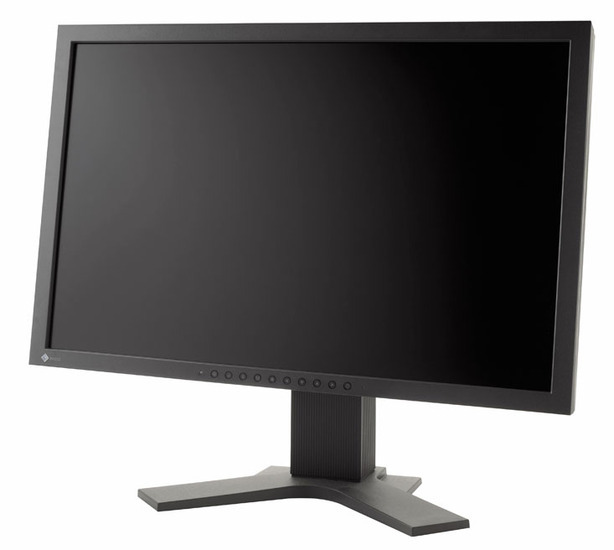 With all that in mind, Eizo's latest quality 22 incher looks like a winner. For starters, the S2242W is based on a PVA panel. PVA is perhaps not the best choice for outright colour accuracy - IPS arguably remains the weapon of choice there - but on balance, it's probably our favourite panel type thanks to its deep and inky blacks, vibrant colours and excellent static contrast. The FlexScan S2242W's other main claim to fame is a native resolution of 1,920 x 1,200. That's a pixel grid normally reserved for 23 and 24in monitors and delivers a worthwhile advantage in vertical resolution compared with the latest batch of budget 1,920 x 1,080 22in screens. There is, however, a catch. With a typical retail sticker above £400, this is one pricey 22in panel. On the one hand, that means it's simply too expensive to meet our criteria for the perfect 22 incher, on the other, the full 1,920 x 1,200 resolution ensures that you enjoy every bit as much detail and image data as a typical 24in monitor. As we'll see, in many ways the S2242W is an extremely high calibre display which boasts features and capabilities only found in 24in panels priced beyond £600.